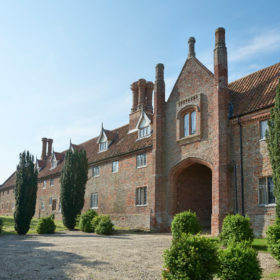 Tudor Hall is a medieval masterpiece behind topiary hedges and floral avenues. 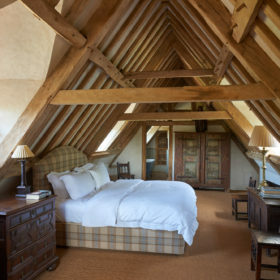 Lose yourself in a luxurious world of vaulted ceilings, crackling fires, rainfall showers and freestanding baths. 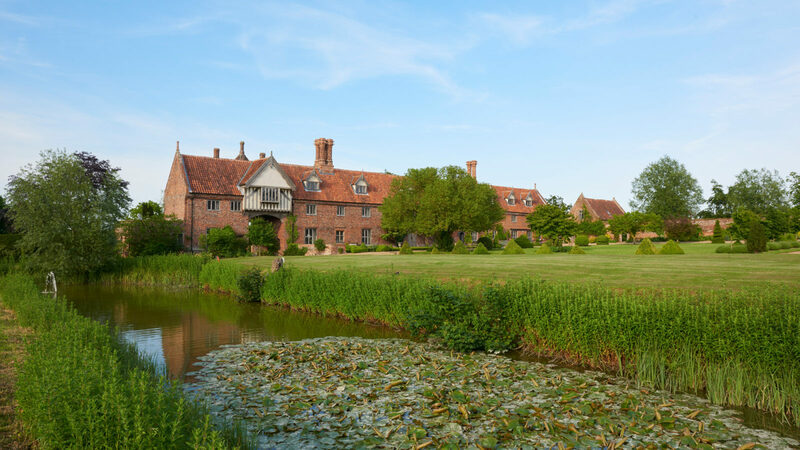 Get together beneath Norfolk’s big skies to watch movies, play croquet on the lawn and picnic around the pond. And do it again soon. Cruise gently back to a bygone century under big skies, amid a sparkling Norfolk landscape of marshy fields, feathery reeds and dense woodland. 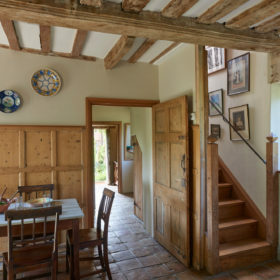 Pass wonky cottages in impossibly perfect villages. Cross a windswept common carpeted in buttercups to arrive in a place of moats, topiary hedges and floral avenues. 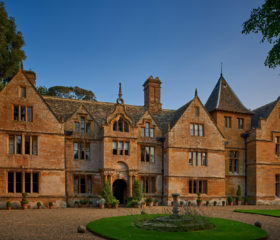 Tudor Hall is a medieval masterpiece modernised with state-of-the-art sound and lighting systems, and primed for family and group gatherings of up to 25. It’s another world – a luxurious one complete with fast wifi, exquisite furnishing, rainfall showers, marble vanity units and cast-iron freestanding baths. 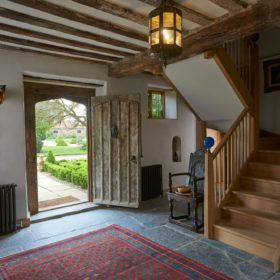 There’s five-star luxury here across five buildings: Tudor Hall, The Cottage, The Gatehouse, The Garden Rooms and The Great Barn. 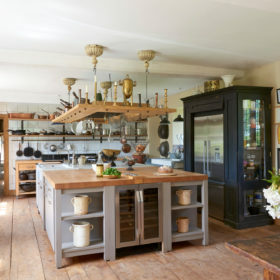 Ceilings are vaulted, fires crackle, there’s Netflix and Sky to tap into in the media room, and the kind of rustic double-Aga kitchen that befits the hanging of copper pans and poultry. Get to know each other again in your own private mansion. 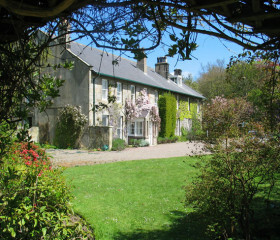 Play cricket on the lawns, sing around piano, gather for sumptuous food from local soil and seas, take a picnic by the pond, sleep in oak-beamed, Vispring, Egyptian-cotton luxury, to the sound of the whispering wind. Wake tomorrow and do it all again. 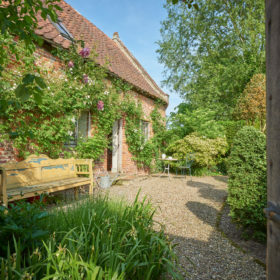 The garden of Norfolk lies all around – all windswept marshlands, feathered reeds and rolling woodlands. 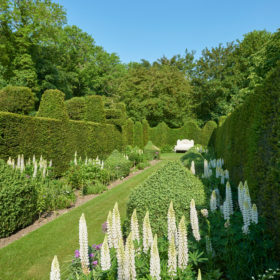 Tucked away behind a rolling common carpeted in buttercups, Tudor Hall’s own garden is a haven, decked in acres of topiary hedges and presenting floral avenues for an evening stroll. Walk the towering woodlands, enjoy your very own moat, become part of the Norfolk-Broads panorama. 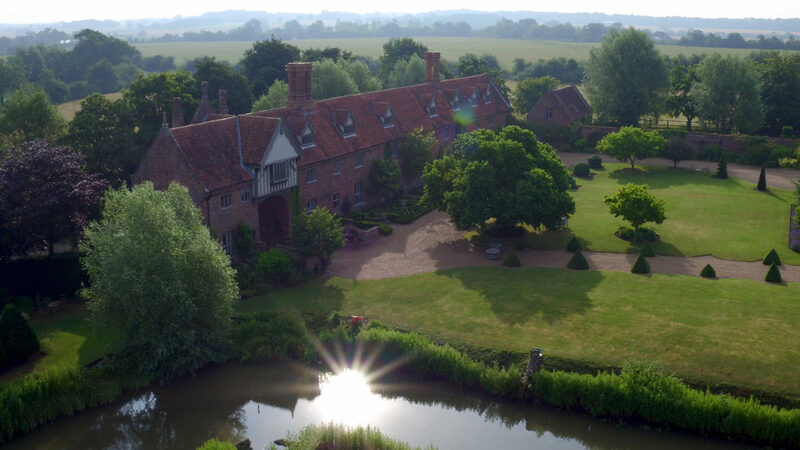 Eat direct from the kitchen garden, abundant in fresh fruit and vegetables, with chefs on hand to craft 50-yard menus from the finest local produce. Take a picnic down by the pond or play cricket or croquet on the most English of lawns. Stroll the avenue of yew trees, find a bench in a quiet corner, escape awhile and soak up the silence in an East Anglian rural idyll. 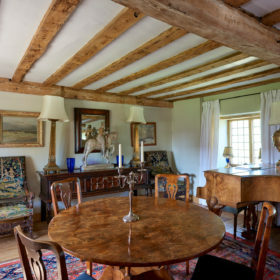 Live like royalty in a 15th-century masterpiece built by the Attorney General to King Henry VII on a scale to reflect the regular visits of the king to meet his courtiers and officers. That’s why architectural grandeur, history and character hit you from every beam, cornice, chandelier and wonky door. 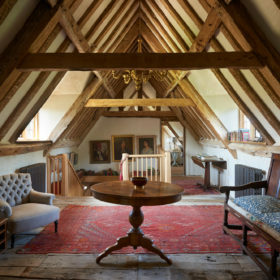 In the hall itself, you can live lavishly as you let calm descend in two drawing rooms. 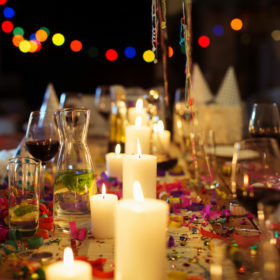 Get the fire crackling and the music soaring into the vaults from the Bluetooth system. Make the other a movie room. Or step aside awhile and get the board games going in the converted chapel. The 33-foot music room invites you all to gather round the Steck mini grand, to introduce the kids to rummy or whist around the cards table, or just to find your own corner and chill. To get seriously serene, take your book out to the reading landing and be lulled by the warmth through the window and the endless views. 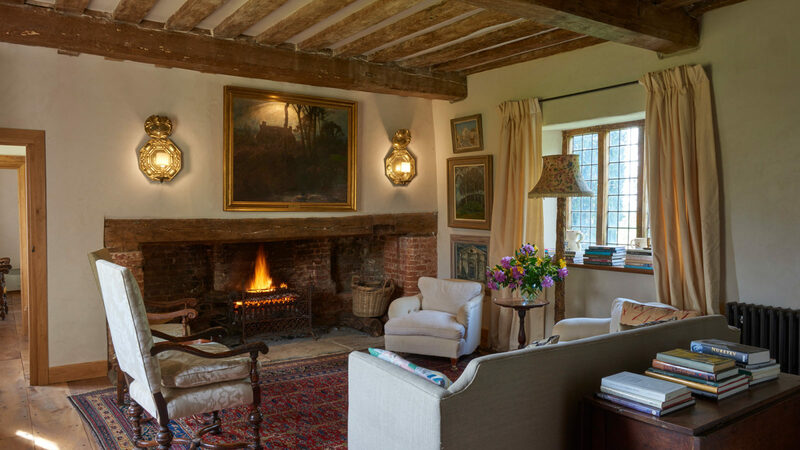 Gatherings get even cosier in the Gatehouse. 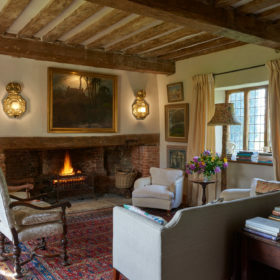 Get together in the sitting room, squabble over the rocking chair, gather sticks for the woodburner. Chat, play cards and games, toast your health, tap into fast wifi, be together or apart in vast spaces. Luxury never felt so homely. Top restaurants boast about a 50-mile menu. At Tudor Hall, it’s all about the 50-yard menu. 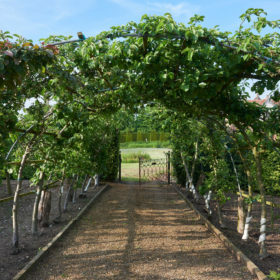 Choose to be catered for and your seasonal fruit and veg comes fresh from the gardens. Meat and fish? They’re fresh from local land and sea, with the Norfolk coast delivering some of the world’s most meaty, succulent lobster and crab. 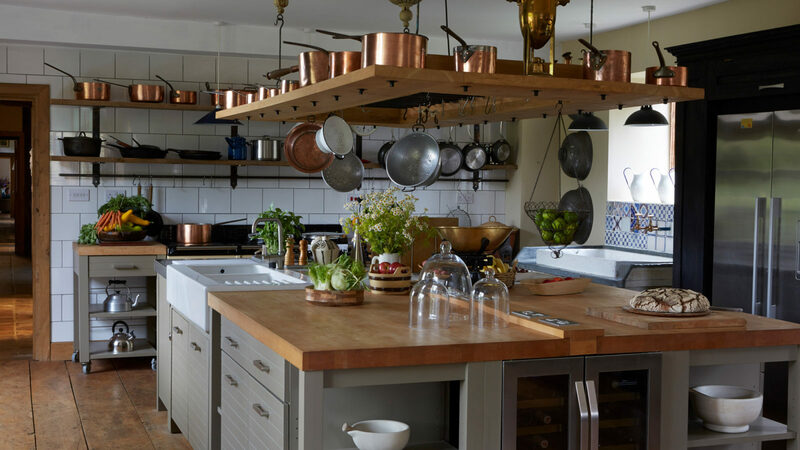 Cook for yourself and you’ll enjoy the kind of country kitchen you’ll see in interiors magazines, with game hanging from hooks next to copper pans. At your disposal is a double Aga, microwave, ice machine and dishwasher for when you’d rather kick back and chill than slave away at the sink. Eat in style in the ornate dining room, with seating for 24. Or head outdoors to sear and sizzle on the coal barbecue. 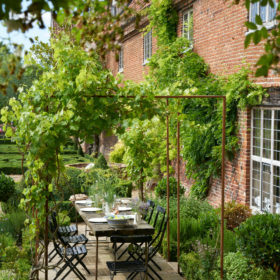 Dine beneath the wisteria-clad pergola or out on the lawn, with the kids doing cartwheels in between mouthfuls. 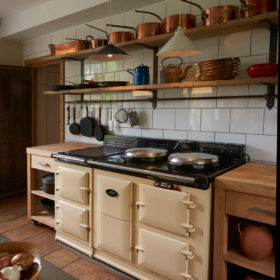 When you’re done, fire up the SMEG coffee machine, gaze over the gardens and enjoy a rich contentment. Eat out at the White Horse in Chedgrave for grilled sea bream or tomato and basil risotto. The Swan in Loddon serves well-kept local ales and provides an eclectic wine list alongside some award-winning food. For fresh, hand-made and award-winning pizza try the Suffolk Stonehouse in Bungay. 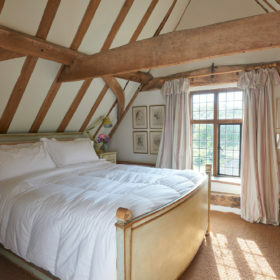 Bedrooms at Tudor Hall are a treat, with beams aplenty and beds piled high with velvet cushions. 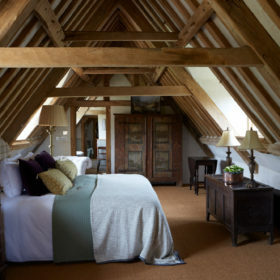 All seven boutique rooms befit accommodation that won first prize with the Campaign for the Protection of Royal England. 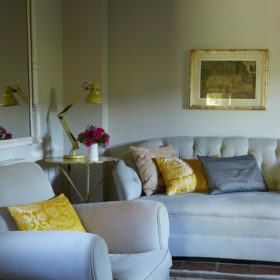 Each comes individually styled with antique furniture and a natural colour palette. 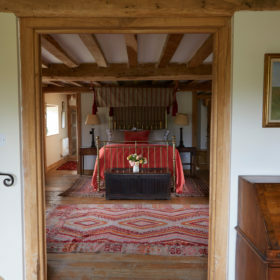 Bedrooms are draped in sumptuous creature comforts. Drift off in perfect silence on Vispring mattresses, wrapped in Egyptian-cotton bed linen. Wake and revive yourself in bathrooms bedecked in rainfall showers, marble vanity units and cast-iron freestanding baths. Lofty ceilings, arched windows and exposed brick abound. 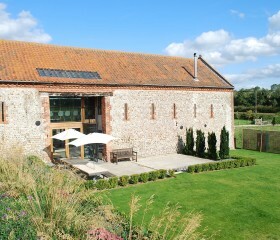 The Gatehouse is a perfect couples’ hideaway. 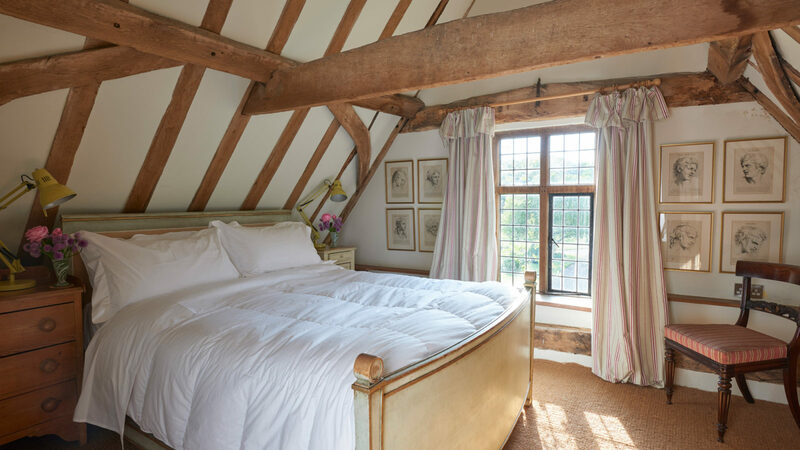 Make yourself cosy on the antique four-poster bed with bespoke Vispring mattress. Pamper yourself in the freestanding roll-top bath beneath the glinting chandelier. 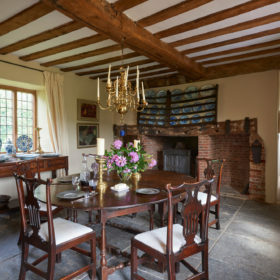 The Cottage comes with its own walled courtyard garden and lawns beyond. 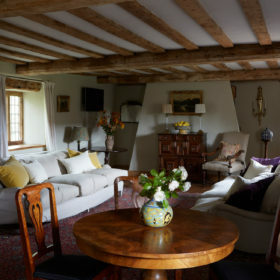 It offers two luxurious double bedrooms and a single bedroom with truckle bed. 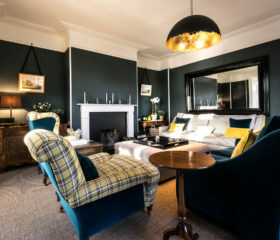 Or choose the Garden Rooms, a stable block refurbished into two stylish double bedrooms, both with beautiful bathrooms and gorgeous views across the gardens and moat. 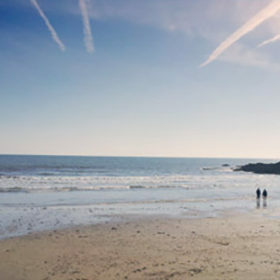 Take your buckets and spades to Southwold, Holkham or Winterton-on-Sea. 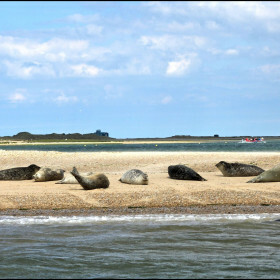 See seals at Horsey Mere. Tour the Broads with Loddon Pacific Cruisers. 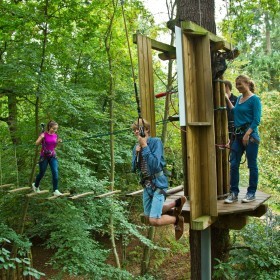 Go Ape at High Lodge, get a daily dose of culture at Norwich Arts Centre, then sink cocktails at 42 King Street, or beer and cheese at the Fat Cat.